What are you hoping to get for Christmas this year? I know what I want, what do you guys hope to get for Christmas this year? Nice! 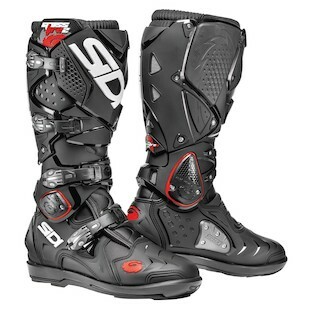 I have a pair of the SIDI Vertigo and they are really well made boots! I think you'll like 'em. Those Italians make some really nice albeit expensive, high quality riding gear and parts(Rizoma). My gear and bike itself is becoming a Italian/ Japanese hybrid. Its been full on Christmas for the past 5 months (since I bought the bike) and my bookmarked list of bike purchases is well past the 3 dozen mark. If I had to choose the only thing left would be suspension; or a pair of Motoport pants , though I'll probably try to save those for next year. If you havent checked out Motoport gear yet, do so. Expensive after customizing but IMO worth every penny. Nothing FZ-07 related believe it or not. This however is a super awesome pen and I want one. But 200 bucks. HAHA that is pretty random. For 200 bucks it had better write like caressing silk. A better brain. I'm still confused about which way I'll go with suspension! Young Padiwan, join me in the tower of knowledge. OK pattonme, looking forward to being even more confused! 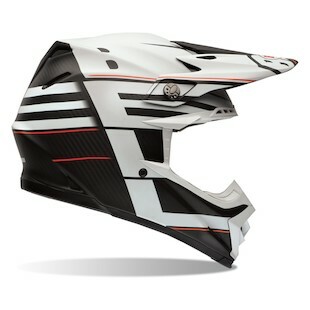 I asked for a Fabbri Gen-X sport screen and a dark smoke screen for my helmet. The top things on my list are a new iPad and an Alpinestars leather jacket. I also have R3 foot pegs and a couple of other cheaper motorcycle things on my list. I think suspension upgrades will be a birthday present. Honestly? Nothing. Nothing at all. I just got married. I already own pretty much everything I want (reasonably) and anything else is just stuff that I could live without. I'm happy and content. Nothing, really. No expectations whatsoever. Divorced, no gf, kids just old enough to be self absorbed and have no income to buy presents yet, and if I ever need anything I just buy it for myself anyway. Wow that sounds really sad now that I think about it, but really I have no cats! Honest. I'm hoping for a rear fender delete (not sure which, I sent about 5 links to the family) and a pair of Icon 1000 Truant boots. Probably be better than my redwing boots for riding. Just treated myself to a smoked LED integrated turn signal tail light from motodynamic. Hopefully it'll work well with whatever tail tidy I get. Little bit of an impulse buy but I'm getting itchy for bike parts and trying to keep them simple. so easy and inexpensive for parts. if you're going to ride in cold weather, a cl-16 chin curtain and the hj-09 snowmobile face shields work extremely well. and a new monitor to go with it. Some better tyres than the OE Bridgestone BT023s. Thinking Pirelli Rosso Corsas. I'll keep the rock hard 'stones for next year's trip to the Superbikes (2000KM each way)! [attachment id=1131" thumbnail="1] or preferably both!! I need new gloves: Dianese, Evo or race pro would be nice. Walking dead comic #3 ( add to the collection) CGC graded. Walking Dead Action Figure: Michonne ( add to collection) graded. Xbox one games: Star Wars BattleFront and the Witcher. Kids. Which i guess makes me a kid too.